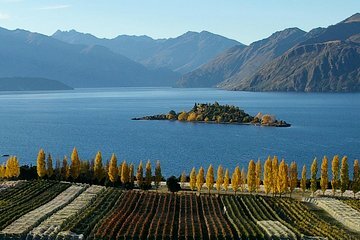 Central Otago is one of New Zealand’s most popular wine regions, producing well-respected reds and whites in alpine vineyards. On this afternoon tour, visit four of boutique wineries in the region and taste some of their award-winning offerings. Learn the secrets behind these wines from the winemakers themselves, and stop at one winery for a gourmet food and wine matching – tasting dishes of local produce matched with wines from the vineyard.